A feature article in thestar.com (link below) summarizes some of the reasons behind our long-held view that Mexico City has started, and is still undergoing, a noteworthy transformation. Change is happening not only in the urban fabric but in many aspects of the daily lives of “capitalinos“, the most polite of the various terms used in Mexico for residents of Mexico City. 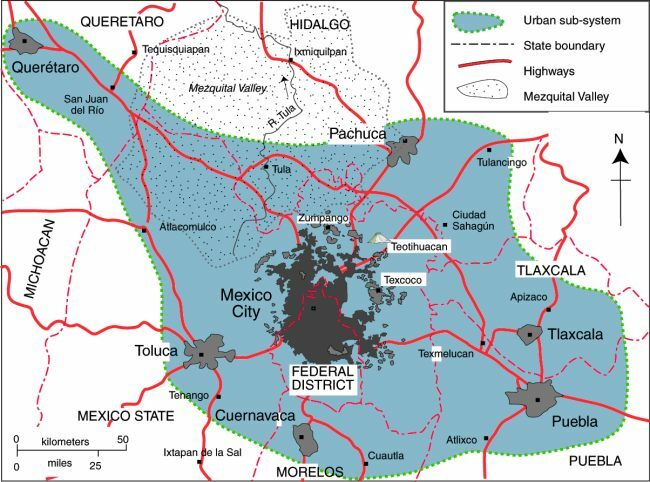 Map of Mexico City urban system. Click to enlarge. All rights reserved. The revitalization of Mexico City’s historic downtown core.